Baba Samateh is a dedicated Community Health Nurse from Sara Kunda in North Bank Region of The Gambia. After successfully completing primary, upper basic and senior secondary school, Baba was accepted to the School of Community Health where he became a qualified Community Health Nurse (CHN) in 2009. Since then, Baba has dedicated his time serving different communities in the Central River Region by promoting health and preventing disease, injury and malnutrition. Baba has focused much of his work assisting hard to reach communities develop family plans and promoting nutrition (especially that of women and children). Baba has earned a name for himself as one of the hardest working CHN’s and became embedded in the communities he worked in as he tackled the many health issues that plague The Gambia. In his 10 years of service in the Bantanto/Dobang Kunda region he rarely took days off and had a great sense of pride for the work that he did. Baba has passion for his field of work and despite the stresses of little pay (most money was sent to his family back home) and long hours, he has clear vision of his purpose and the role he plays in the development of his country. 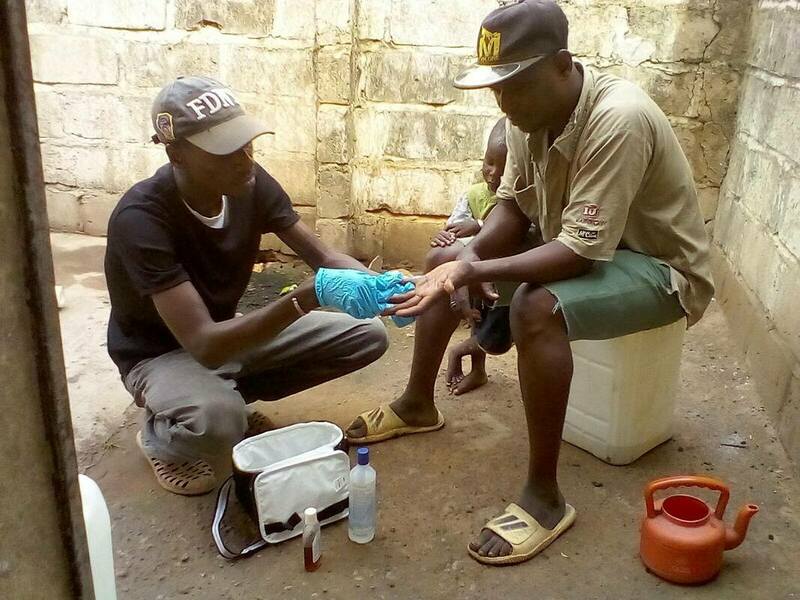 Baba has realized the need and urgency of addressing the health care challenges of The Gambia and is hoping to expand his role as health care professional. Baba was recently accepted into The Gambia College where he hopes to pursue a higher national diploma in Public Health. Baba wants to stay in The Gambia, continue doing public health work and to better equip himself with the knowledge and tools to make him more effective as he aims to improve the health of the communities in which he loves. But due to financial constraints, Baba cannot afford the costs of this 3-year program. Balancing school payments, living expenses and supporting his wife, children and extended family back in his home village, Baba needs financial assistance to pursue his dream. I am hoping to raise enough funds to allow Baba to fulfill his dream. I am working with GambiaRising, a non-profit founded by returned Peace Corps volunteers and former staff, to do this. You can donate through this link, and 100% of the funds you donate will go directly to pay for Baba's education. Since we'll be supporting Baba for three years, if you'd like to spread your support out, click the box to make your donation monthly. (And $10 per month is 20% more than $100 per year.) THANK YOU ! !